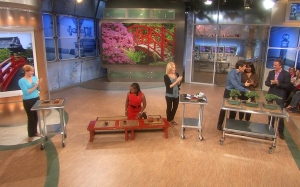 Dr. Oz Show: 8 Alternative Health Secrets From Japan. "Tempting U.S. Palates With Fermented Soy"
"Fermented Food: Good and Rotten"
"Natto Ambassador Gets Americans to Try the Sticky Stuff"
"Countertop Culture, Something Is Fermenting In Sandor Katz’s Kitchen"
Event Report: "Organic MegumiNATTO Release Party at Ozumo in SF"
Find us in the 2010 LA Skinny Black Book to nutrition. "Any Natto Experts Out There? I Have Questions"
"Fermented soybean product called 'natto' lowers blood pressure and inhibits renin"
"Nattokinase: the miracle systemic enzyme from Japan"